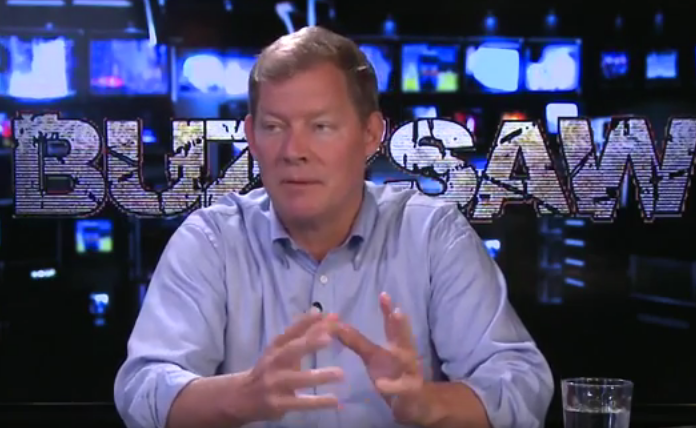 Journalist Christopher Bollyn Backs Farrakhan on 9/11: Israel did it! Minister Farrakhan of the Nation of Islam is the first high-profile religious leader in the United States to openly discuss the Israeli role in the false-flag terrorism of 9-11. 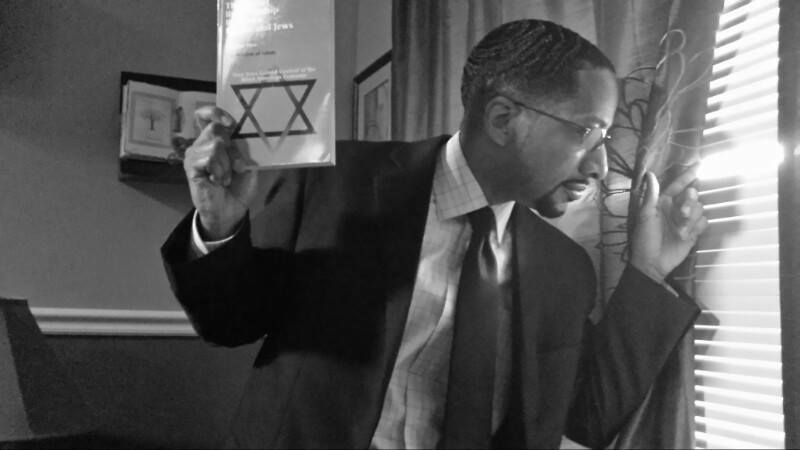 Question: The ADL has been particularly vicious in labeling as “anti-Semites” all those who press for answers—including yourself and The Honorable Minister Louis Farrakhan. What is their motive and how do you see the ADL’s role in this 9/11 incident? Answer: This is a very good question because it goes straight to the identity of the first and most well-known organization that attacks 9-11 truth and those who promote it. The ADL stands for the Anti-Defamation League of B’nai B’rith. It is a subsidiary of the International Order of the B’nai B’rith, a secret Masonic order open only to Jewish men who are dedicated to Zionism. The ADL attacked me in November 2001 for my article about the evidence of explosions at the World Trade Center before it collapsed. This exposed the ADL as being a very active force against 9-11 truth. The B’nai B’rith is the secret society of powerful and well-connected Jewish men who are dedicated to the State of Israel and the Zionist enterprise. In jumping in early and attacking me for my article, which had nothing to do with Israel or Jews, the ADL exposed their agenda to defend the Zionist narrative about 9-11, which is utterly false. It should be noted that the family that owns the New York Times, Sulzberger-Ochs, is one of the leading families of Lodge No. 1 of the B’nai B’rith, which was founded in New York City in 1843. 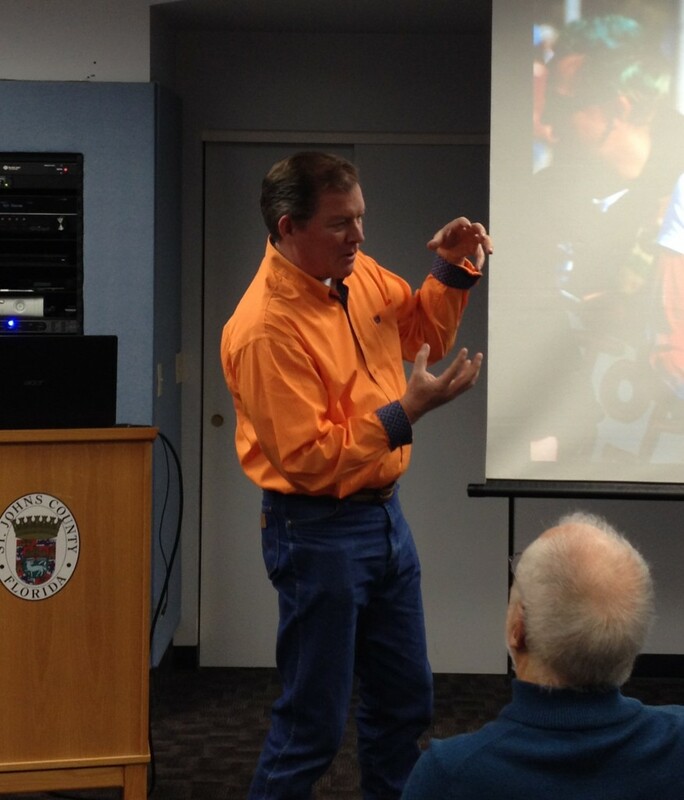 Question: Mr. Bollyn, as a reporter you initially covered the 9/11 incident for your newspaper. What did you learn that appeared strange or odd in the official story? 3. The reports of scores of Israeli intelligence agents having been arrested in connection with the events of that day. On the other hand, the government and controlled media began immediately to push an obviously prepared explanation onto the public – before any evidence from the crime could even be examined. This is very telling. Ehud Barak, for example, the former prime minister of Israel and commander of the covert Israeli commando force known as the Sayeret Matkal, happened to be in the studio of the BBC World television network in London – before the towers had even fallen – prepared to provide a plausible explanation for the attacks, in which Osama Bin Laden was blamed. What is very odd is that these earliest comments placing blame on Bin Laden soon became the official narrative of 9-11. Question: As an on-scene reporter, were you aware of any cheering or celebrations—such as those referred to by Donald Trump—of Arabs or Muslims after the tragedy? Answer: No. Trump’s recollection is a false distortion of reality. The news reports in the New Jersey Record, written by Paolo Lima on September 11, 2001, indicated that it was Israelis – most likely disguised as Arabs – who were celebrating as the towers burned. There is no report, at least that I am aware of, of Arabs or Muslims celebrating in the vicinity of New York City. Question: What is the best evidence you can present that ties the Israelis directly to the 9/11 incident? Answer: The best evidence tying Israel to the 9-11 atrocity is the fact that the key people involved in every aspect of the crime and the cover-up are Israelis and Zionists, from A to Z. Beginning with the predictions and ideation in the late 1970s, the setting-up and carrying-out of the crime, and through the non-investigation and cover-up, one finds a Zionist or Israeli at every key point where a decision is made to protect the guilty and promote the false story. The one-hundred percent consistency of Zionists and Israelis throughout the 9-11 saga provides compelling evidence that the crime is a Zionist/Israeli crime. One really has to read both my Solving 9-11 books to understand the Israeli connections to 9-11. There is no other source that provides this information. This is also the reason I am persona non grata in the controlled 9-11 ‘truth’ movement. Question: Has your research uncovered any evidence of foreknowledge by anyone of the 9/11 incident? Answer: Yes, quite a bit. First, there was the film, The Medusa Touch – made by Israeli super-agent Arnon Milchan in 1978 – that depicts a Boeing 747 flying into a high-rise tower. Then there was the uncanny prediction by Isser Harel, the former head of the Mossad, that ‘Arab’ terrorists would attack the tallest building in New York City – in 1980. Then, in 2000, Milchan and his business partner, Rupert Murdoch, made a film in which a Boeing passenger airliner is remotely hijacked and flown into the World Trade Center. I would say that these predictions and films demonstrate foreknowledge of the 9/11 plot. Question: How do you interpret statements by major figures like Rudolph Giuliani that he received a call “that the World Trade Center was gonna collapse”? Or WTC owner Larry Silverstein saying that he told them to “pull it”? Answer: These men were clearly among those who were forewarned of and prepared for, in varying degrees, what happened that day. Silverstein was probably more ‘clued in’ than Giuliani, due to the fact that he owned or leased the three towers that fell on 9-11 – and his very close personal friendship with Bibi Netanyahu, which included a telephone call between the two men every Sunday afternoon, for years prior to 9-11. Answer: Yes, Minister Farrakhan is correct but the 9-11 plan is older than that. From what I have found, it seems that the 9-11 plot was already planned back in the late 1970s – exactly the time when the Likud party came to power. Question: What are the implications, from your perspective, if the American public comes to believe that Israel was involved in (planned and carried out) the 9/11 attacks? Answer: If the American public comes to understand that 9-11 was an Israeli-run terror operation, it should lead to a much-overdue sea change in public opinion concerning the fraudulent “War on Terror” and U.S. financial, military, and political support for the Zionist-Rothschild state. In spite of all the obstacles, which are numerous, we are making progress, but the most important thing is that we get the truth to a critical mass of the population so that we can create the conditions necessary to arrest and prosecute those responsible for this criminal atrocity. This is the only way we can remove the Zionist criminal cabal that controls our government and media. 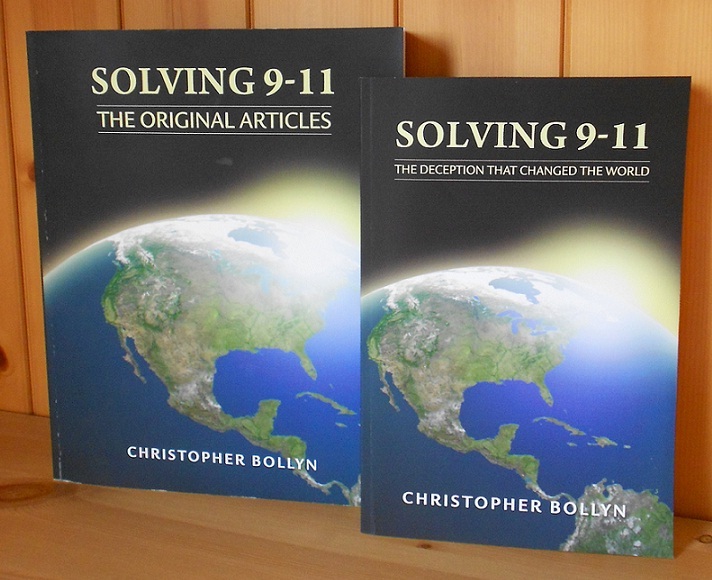 The Solving 9-11 set of books is available through his website for a $40 donation for U.S. addresses.